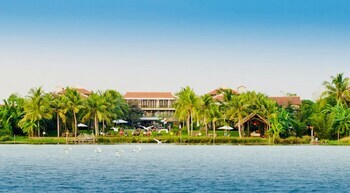 Explore the ancient city of Hoi An, Vietnam, on your next holiday. 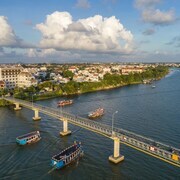 With roots dating back to the 1500s, this historical trading port, located on the coast of the South China Sea, offers plenty to do and see. During your adventure in Hoi An, make your way over to the Old Town, and visit the Quan Cong Temple and the Japanese Covered Bridge’s Pagoda. While you’re in the area, check out the Museum of Folk Culture and the Old House of Phung Hung. Spend some time exploring My Son Sanctuary and the Hoi An Riverside, before browsing the Hoi An Central Market for souvenirs and local goods. 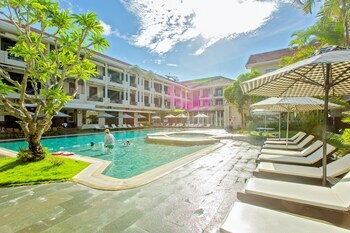 You’ve come to the right place if you’re looking for cheap deals on Hoi An hotels. At Expedia.co.nz, we pride ourselves on providing you with a selection of affordable lodging that is sure to strike your fancy. 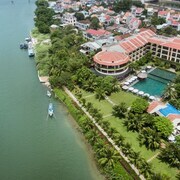 Check out our motels, high-end hotels, resorts and spas, and even budget accommodation in Hoi An to find your perfect match today. 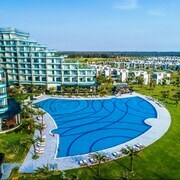 Da Nang International Airport (DAD) is the closest airport to Hoi An, just 30 km north of the city centre. Ride one of the public buses or hop in a taxi to get into town. Or before your trip, hire one of our rental cars in Hoi An to have your own wheels once you arrive. We’re your one-stop shop for all holiday arrangements. 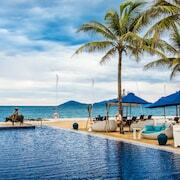 Whether you want discounts on Hoi An accommodation or cheap deals on car hires, we’ve got you covered. 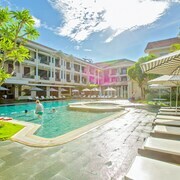 To have even more money left over for your travels, bundle your lodging and airfare into one of our holiday packages. Save today and you’ll have more money to spend on your adventures along the South Central Coast. 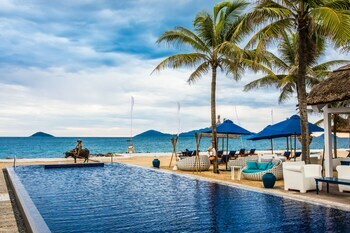 Explore Hoi An with Expedia.co.nz’s Travel Guides to find the best flights, cars, holiday packages and more!